I’m just going to preface this by saying that I am not the master when it comes to keeping all of my kid’s stuff organized. 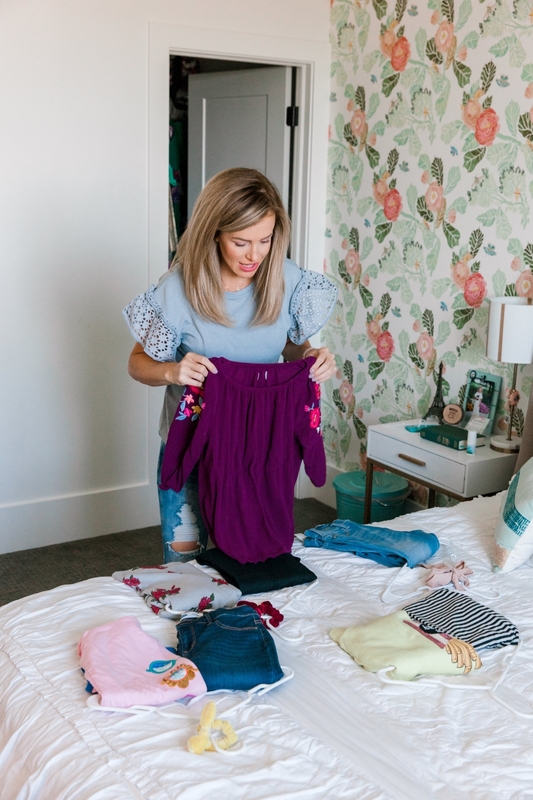 BUT, I have developed a few organizing techniques over the years that seriously save mornings around this house! 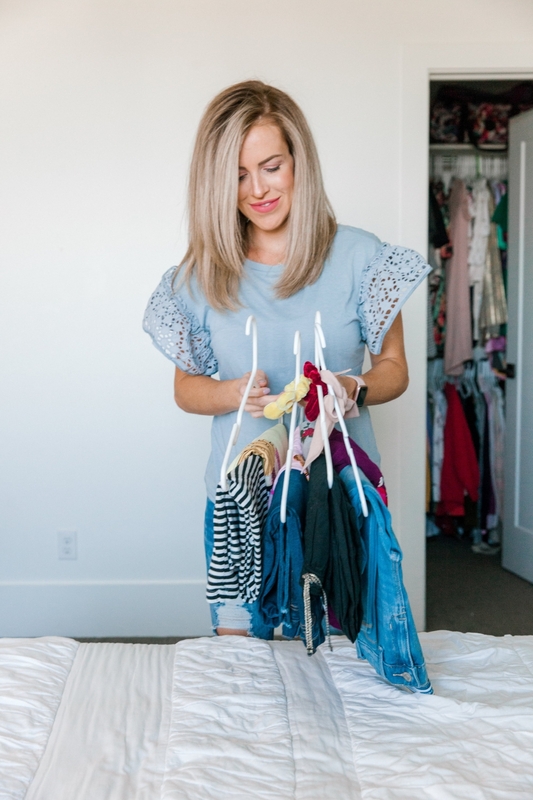 During the summer, my kids live in swimsuits but this hack is MAGIC during the school year! When we get done with laundry in this house, I’ve been doing the same thing with my kid’s clothes for years. OR, my kids do it themselves. Not so much Jett or Dash, but Emery and Annie know what outfits they like and what looks good together. We will layout as many outfits as we can: a top, bottom, and a hair accessory. Once selected, place these 3 items go on a hanger. When kids get up they grab a hanger which has their entire outfit picked out for the day! It’s ridiculously simple! The other upside to this is that it saves space elsewhere like drawers and shelving because multiple pieces of clothing are going on one hanger. We’re far from perfect but this works! 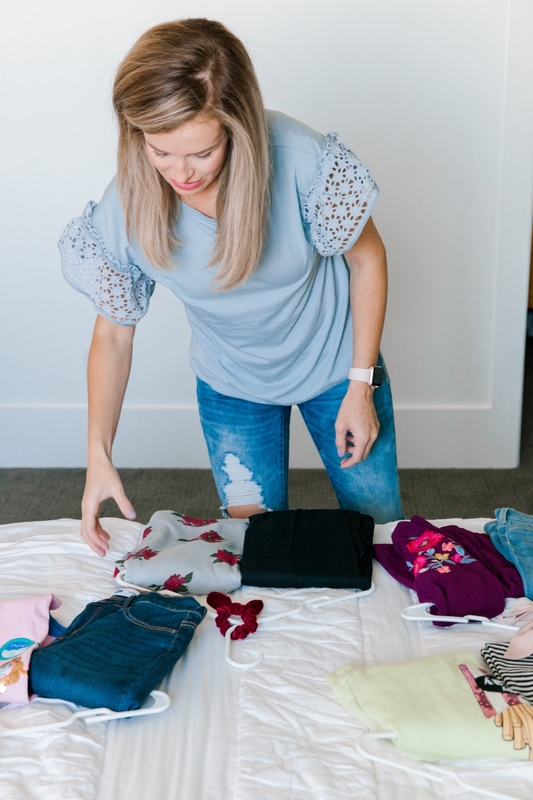 My kids (especially the girls) can definitely waste time standing in their closet wondering what to wear. Organizing it this way allows them to grab the entire outfit and know that everything they’re putting on works together. No trying to pick out of 10 pairs of pants or trying to match your favorite pair to a top. It’s organized, making getting ready in the morning that much easier. I’d love to know some of the organizing hacks you do to create a better daily experience for your kids. Tell me in the comments below! Love it! Where is your wallpaper from? This is a great idea and would totally help my middle one who is so fashion obsessed that he gets overwhelmed! Thanks for the tip.